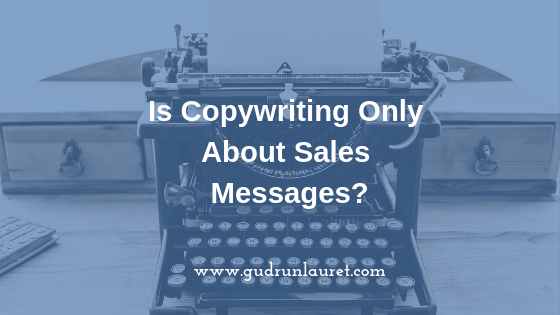 Copywriting – Only About Sales Messages? At CMA Live last month, there was a fantastic presentation by Amy Harrison on writing better for your audience so you’re communicating the value of your offering. She was talking about sales copywriting – about writing for your website and about how you help potential customers overcome their objections. That’s all good stuff and it was definitely relevant to the audience. It’s important to get your message right and make sure that people understand how you help them. Communicating that well is a big part of converting leads into customers. 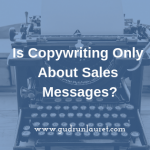 However, she also talked about how tricky it is to find a good sales copywriter, and quoted survey results from the Pro Copywriters Network (of which I’m a member), which showed that 39% of writers do so because they love it, and only 12% do it to help their clients, which isn’t good for the customers. I was unexpectedly troubled by this. I’m a writer because I love what I do more than anything – it was all I ever wanted to do as a child and the one thing I’m really good at (in my opinion, maybe there are other things I’m also good at!). So does that mean I’m not the person to choose for your writing work? I’ve been self-employed for a few years now, and I can’t imagine going back to work for someone else. I know a lot of people who are employees, though, as well as encountering them in a range of situations on a daily basis. The majority are completely disengaged with what they do, if not actually made miserable by work they don’t relate to or a poor office environment, and this shows in the words they use and the way they interact with customers. If you were going to choose someone to help you in your business, to do something that would support you to grow and make money, who would you choose? Someone whose passion for their work comes across constantly, or somebody who’s just there for the pay packet? I think it would have been fairer to say that there are different types of writer for different types of need, just like you’d want an ENT specialist to help you with hearing loss rather than going to a gastroenterologist, or the GP. 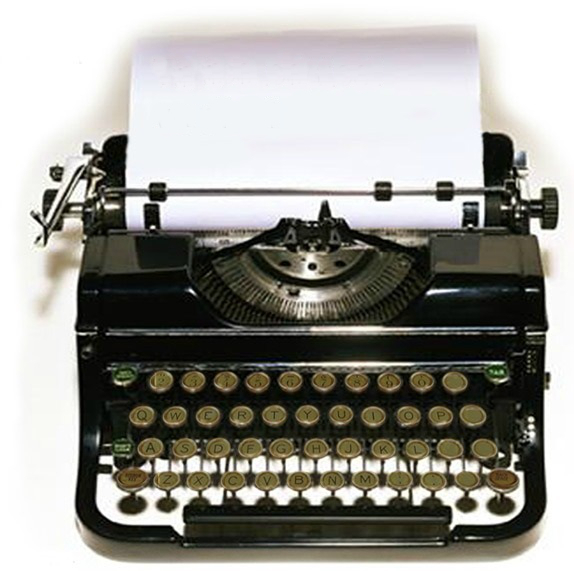 Sales writing as Amy explained it is old-school, ad agency copywriting. It’s a hugely valuable part of your content marketing and you need to get it right. I am not an expert in sales copy, and would never pretend to be. I would recommend someone who is, and happily pass on that referral. That doesn’t mean, though, that the kind of writing I do isn’t equally valuable, and that was what I thought could have been made clearer. Busy business owners also rely on copywriters on an ongoing basis to write their blogs, case studies, podcast shownotes, ebooks and eguides, white papers and business books, all of which I’ve done to the satisfaction of my clients. What I would say is this – if you know you have a need for a professional writer, get clear first of all on what you want them to do and why. Then do some research – ask for recommendations, speak to copywriters and look at the testimonials on their website. Regardless of what inspired them to make writing their profession, you want to feel assured that they understand your business, your message and your audience. Choose someone you trust to communicate that for you.